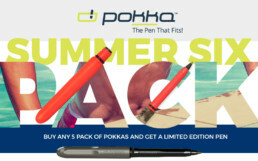 For the past couple of years we’ve worked with the beautiful couple behind Pokka Pens, and since then, we’ve helped with their website, e-mail and ancillary graphics to support monthly activations to generate sales. 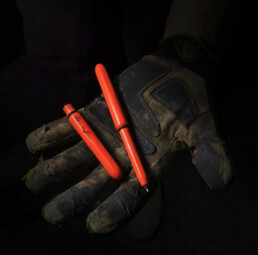 The Pokka Pen is an everyday tool created for people on the move. 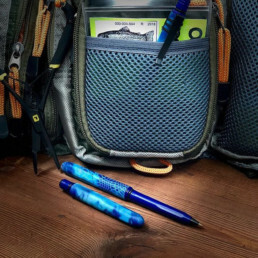 While you can use this pen any and every where, it’s designed for those typical moments like the bank, in the car, shopping etc. 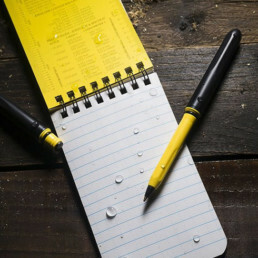 The beauty of this pen is that it fits in your pocket without stabbing you in the junk. ha! Our first task was to introduce and integrate Mailchimp with Pokka’s Shopify website. The second step was to brand the automatic Shopify emails and then create templates for the Mailchimp emails. 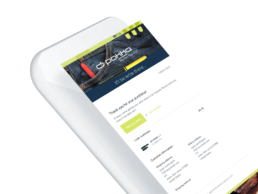 An automated email sent to new Pokka customers after they made their first purchase from the Pokka website. Welcome email is an important part of a successful communication between a brand and its customer. Automated email reminders sent to customers who exited Pokka’s website after adding items to their shopping cart but failed to check out. We created Thank You emails to ensure that Pokka customers feel genuinely appreciated. Piece of cake for us, one step closer to e-commerce dominance for Pokka. In addition, we then developed creative for various promotions. While Pokka’s core audience are middle-aged men with the common hobby of outdoor activities, we were challenged to mix in fun and colorful creative to grab the attention of women and children. In order to do so, we also changed the approach without going too far left from Pokka’s voice. The trick was to create secondary personas. Pokka is now armed to not only target their core audience of men, but to also tap into his family. 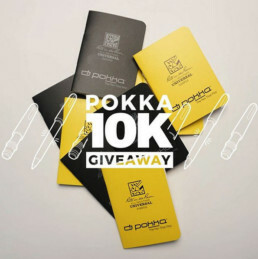 The next phase of our relationship with Pokka extends to social media and content creation. We help Pokka by developing written copy, photography, video editing, and general consulting to ensure Pokka is taking the correct steps to grow their brand.